Howard Moore and Hamish Levack, New Zealand Tree Grower November 2012. 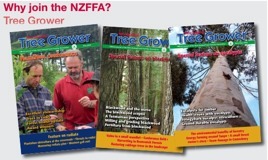 The authors are members of a working group recently set up by the NZFFA to see what might be done to achieve a reliable, non-declining log supply from New Zealand’s small- scale forest owners. The challenge is to convert the forecast harvest spike for their forests into a non-declining yield, such as that shown below and in the article on page 13 of this issue of Tree Grower. However, to achieve this change and maintain future supplies, the forest owners would need to coordinate and spread their tree harvest age from 25 to 35 years, and increase new planting rates to 20,000 hectares a year. The forecast harvest spike arises from 500,000 hectares of trees planted by small-scale forest owners during the 1990s. We believe that most of these owners are first time foresters who have not considered working together. Coordination could lead to planned harvesting, stable log prices, increased market opportunities from new processing investment, economies of scale and fair returns. Uncoordinated action could lead to competition for scarce harvesting crews and transport, log price-cutting, market disruption, widespread grower dissatisfaction and negative attitudes towards further investment. As a first step to encourage coordination, the NZFFA has obtained a Sustainable Farming Fund contract to identify the small-scale forest owners. The project will use a GIS software overlay of the national MAF database of post 1989 forests, combined with the land information database to identify exotic forests by location and owner. A pilot study, scheduled for completion before 2013, will then be run in the southern North Island to find the correct postal addresses for the owners. Next year the model will be extended to other regions. After making contact with the forest owners, the working group will follow up with an information package to advise them of the risks ahead. The package will also offer training, industry best practice and support and encourage the owners to work together to rationalise the coming harvest. Much of the necessary information already exists, spread across several providers in different media and different formats. One important message for the small growers will be the downward trends in log prices and net stumpage which the industry has experienced over recent years. Unless these trends can be reversed the prospects for independent growers are bleak. Amalgamating the forests using companies that would issue shares in exchange for forests at valuation. Unfortunately, the cost of timber provision in the Income Tax Act makes it hard for a forest buyer and seller to agree on a price. We have developed a tax work-around which re-defines the sale, allowing it to fall under a different section of the Act, avoiding this problem. Amalgamating the forests with cooperatives. Some small forest owners might want to form producer cooperatives which could provide collective strength in negotiating costs and prices, and smooth income gains and losses. Legislative control might be considered by the government if it felt that the forest industry was putting itself at risk. Legislation already controls the harvest of indigenous forests. This could be extended to cover the harvest of exotic forests on sensitive lands such as near waterways, on fragile soils or erodible hill country. We are preparing discussion documents on the first two options. Widely differing attitudes towards cooperation are likely, with some owners favouring collective action, others companies and some wanting to remain independent. Arrangements will vary from region to region. There will be problems if too many small-scale forest owners remain independent in the hope that the market will look after them. We might have expected a spike in harvesting as a response to the extraordinary lift in log prices in 1993 but it did not happen. The harvesting capacity was not there. The few growers lucky enough to have signed contracts with logging gangs made large profits, but everyone else missed out. If the same constraints apply in 2020 there will be no supply spike. We lack the industry capacity to harvest the trees, the infrastructure to transport them, the mills to process them and the markets to sell them. While the public may see no harm in leaving the trees standing, it could do serious harm to the industry. If many of the 15,000 forest owners who planted in the 1990s intending to harvest between 2020 and 2030 were denied the opportunity, they would be very upset. They would feel that they had been shut out by the industry, which had sufficient capacity for its own needs, but was ignoring theirs. The result could be a public relations disaster followed by a slump in log prices as growers tried to liquidate their assets, leading to substantial write-downs in all forest values and the destruction of confidence in commercial forestry as a land use. Simplify the log market and increase the opportunity for sustainable and mutually beneficial wood supply agreements between growers and processors. We are researching the use of companies and cooperatives to amalgamate small forests on a regional basis. Company structures are well understood and we have a ‘work around’ for the cost of standing timber, but a number of other problems remain. Location-specifics include roading costs, inventory risk, timber quality not apparent until harvest, resource consents, ETS liabilities, cutting rights and land ownership which all need be addressed. Full forest valuations are both expensive and inaccurate. We are researching ways of accepting small forests into a company without full forest valuations, where the individual growers retain many of the location-specific risks. Companies could have a life beyond the planned harvest if sufficient growers were committed to replanting and managing a second rotation. Returns to grower-shareholders would be by way of dividends and shares could be traded, allowing growers an exit mechanism. The companies themselves could be bought and sold allowing wider amalgamation. 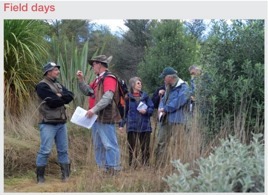 Cooperatives are common in New Zealand but not in forestry. A coop is an enterprise which provides collective strength and distributes benefits to its owner-members on the basis of their use. We are researching producer coops in which the forest owners would be able to retain full ownership of their forests, but where the timing of harvest was controlled by the parent owner. Forest valuations would not be required. Location-specific costs would remain with each grower, and income would be smoothed within grower groups based on harvest dates. Membership shares could be bought and sold at any time except within the current group. A coop structure would avoid many of the problems associated with companies and make better provision for matching each member’s return with his contribution. As with a company, a coop could have a life beyond the extended harvest if sufficient growers were committed to replanting and managing a second rotation. Coop shares could be traded or redeemed, allowing growers an exit mechanism. With member approval, coops could also be bought and sold allowing wider amalgamation. Additional new planting is important to help produce a sustainable log supply into the future and to help meet the country’s emissions targets and control erosion from serious storms. Initially it was thought that the ETS would encourage new forest planting, but that now looks unlikely. The ETS review has shown that Treasury’s priority is for New Zealand to comply with its international obligations at least cost, even if this means exporting capital to buy cheap European and Russian carbon credits. Analysts from Barclays forecast no strengthening of European carbon markets until the year 2020. Low carbon prices, the threat of the ‘fast forest fix’ and poor wood returns are discouraging forestry and increasing the risk of land conversion. Every hectare lost from forestry will make it harder to sustain log supplies, harder to justify investment in new processing, and harder to sequester emissions and protect erodible land. Based on the result, investigate wider applications of those models for forest amalgamation. The Woodco Board has acknowledged that the Working Group’s aims fit neatly within Woodco’s strategic action plan. The NZFFA working group members are Geoff Thompson, Kelly Coghlan, Jon Dey, Peter Gresham, Hamish Levack, Howard Moore, Bill Studd and Harriet Palmer.